Short food supply chains have the potential to connect producers and consumers, and increase added value for farmers in the food chain. Improving collaboration between farmers, farm cooperatives, food processors, consumers and others involved in short food supply chains can boost this potential and enhance mutual benefits. It can enable the people involved to develop new products and processes to add value and to improve the range of products available to consumers. It can also help to make logistics and distribution more efficient, and it can strengthen food chains and open up new markets. 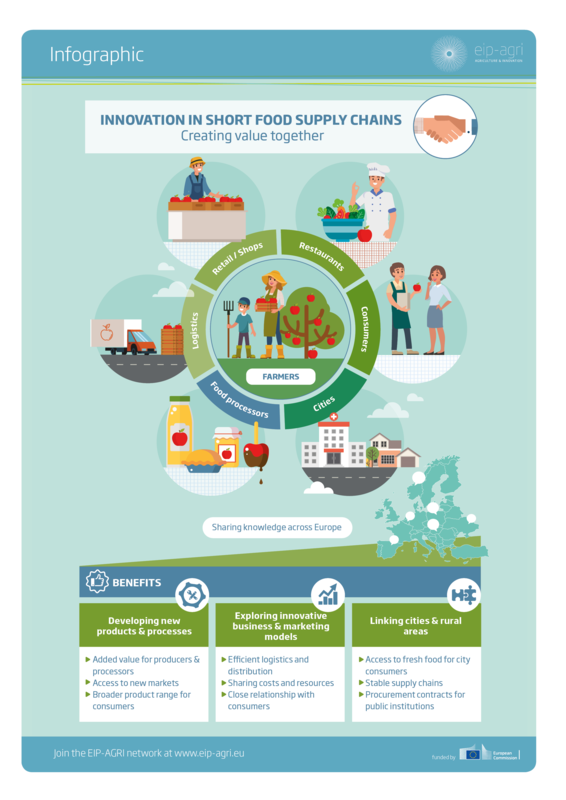 This brochure highlights a number of Operational Groups and other innovative projects that illustrate successful ways of bringing innovation and collaboration to short food chains, for more impact.